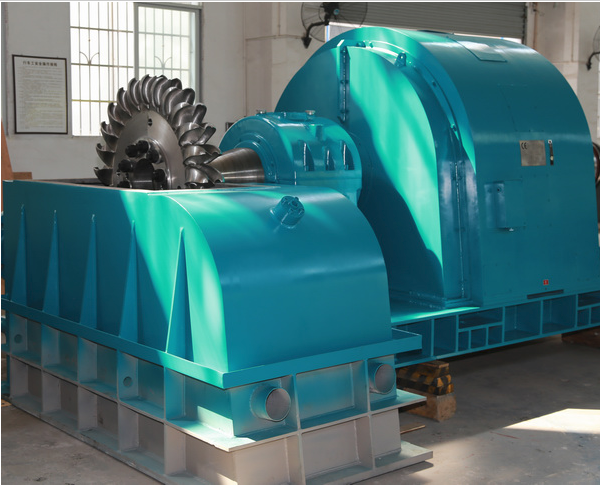 Pelton turbine is suitable for water head 100 to 1000 meters at the small flow range. It could be vertical and horizontal arrangement, with the number of nozzle from one to six. Pelton turbine provide high efficiency for wide flow region. The turbine could start at 10% of rated flow. Pelton turbine with one or two nozzles usually adopt horizontal arrangement, multiple nozzles Pelton turbine adopt vertical arrangement. Pelton turbine units are wildly used in mountain area all over the world. It is well known by its simple structure, less investment, high efficiency, and reliable quality. To get a quote, please send us an email to dept1@fuchunind.com with basic information about the project such as the water head, and the water flow. We will be gladly assisting you within 24 hrs. Any other sizes are available according to customers'' special requests.